AUSTIN, TX--(Marketwired - Jan 13, 2015) - Today, the Boys & Girls Clubs of Bastrop County announced the Eric Johnson and Mike Stern Eclectic Guitar Concert to be held Tuesday, February 17 at 7:00 pm at the Jerry Fay Wilhelm Performing Arts Center in Bastrop, just east of Austin. The Eclectic Guitar concert presented by St. David's Bastrop Emergency Center will feature Grammy-winning rock guitar legend Eric Johnson and Grammy-nominated jazz guitar hero Mike Stern. This concert wraps up their epic nationwide Eclectic tour, and it is the only tour date in the Central Texas area. Tickets are priced at $40 for preferred seating, $25 general admission and $125 for VIP access, which includes reserved up-front seating and access to a post-show, backstage reception with the artists. Visit www.bastropjazzjam.com for more information. Tickets can be purchased online via Ticketbud. 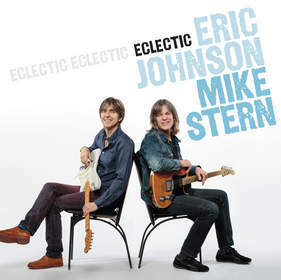 Eric Johnson and Mike Stern are two of the world's most celebrated jazz/ rock/ fusion guitarists. They received rave reviews for their recently released album collaboration, Eclectic, recorded at Johnson's studio in Austin and released on Heads Up International, a division of Concord Music Group. Featured on the cover of the February 2015 issue of Down Beat magazine, the pairing of Johnson and Stern is described as a "virtuoso-meets-virtuoso collaboration that spans the rock-jazz divide. Their aptly titled CD Eclectic incorporates a diverse array of styles, including gnashing rockers, rockabilly-tinged up-tempo blues, jazzy swings and horn-driven pop cookers." Concert proceeds will benefit the Boys & Girls Clubs of Bastrop County, a nonprofit, youth development agency working to empower local youth to become caring, productive, responsible citizens. Visit www.bastropbgc.net or Facebook: www.facebook.com/BoysGirlsClubsBastropCounty for information. Eric Johnson and Mike Stern are two of the world's most celebrated guitarists. Down Beat magazine described their recently released Eclectic CD as a "virtuoso-meets-virtuoso collaboration that spans the rock-jazz divide."